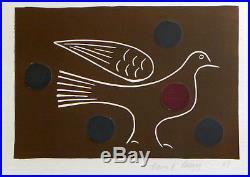 BREON O'CASEY - BIRD Original linocut & painted collage signed and dated by the artist Measures 49 x 38 cm. 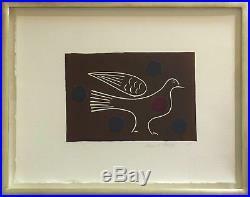 The item "BREON O'CASEY BIRD Linocut and painted collage St Ives Art" is in sale since Sunday, April 01, 2018. This item is in the category "Art\Mixed Media Art & Collage Art". The seller is "nobodyscool" and is located in Shepton Mallet, Somerset. This item can be shipped to United Kingdom.